The story of these popovers is the story of a journey. It began with a trip to the store to buy gifts for a family in need. I went to one of those big combination discount store/grocery store places. I needed a glass container for the homemade sugar scrub I’d made the mom. Once I’d found that and looked at all of the other sale items in housewares, I headed back upstairs. On my way, there between the freezer cases was a display of deeply discounted items. Among them, King Arthur Gluten-Free Multi-Purpose Flour. The box was really banged up, but the bag inside was intact. The price was marked down from $6.99 to $3.49 and the ingredients didn’t include sorghum (which I strongly dislike), so I said, “Sweet!” and tossed it in the basket. How convenient that they had those little dents in them to hold jam or honey or whatever else (I considered putting turkey in them for lunch, but decided against it). We liked them so much, we ate the whole batch, leaving none for my husband when he returned home from work that evening. So I made some more using the same recipe. 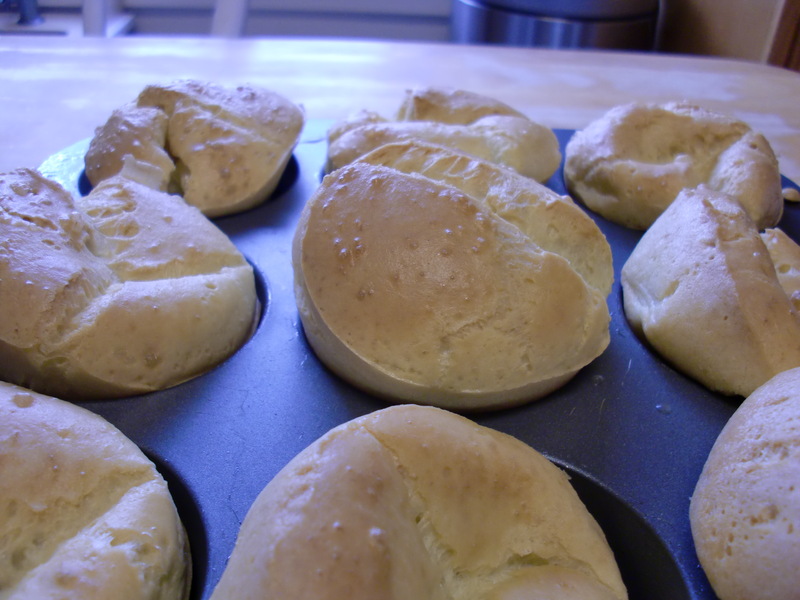 I was so thrilled with the popovers, I wanted to blog about them. I visited the King Arthur Flours website so I could link to the recipe. 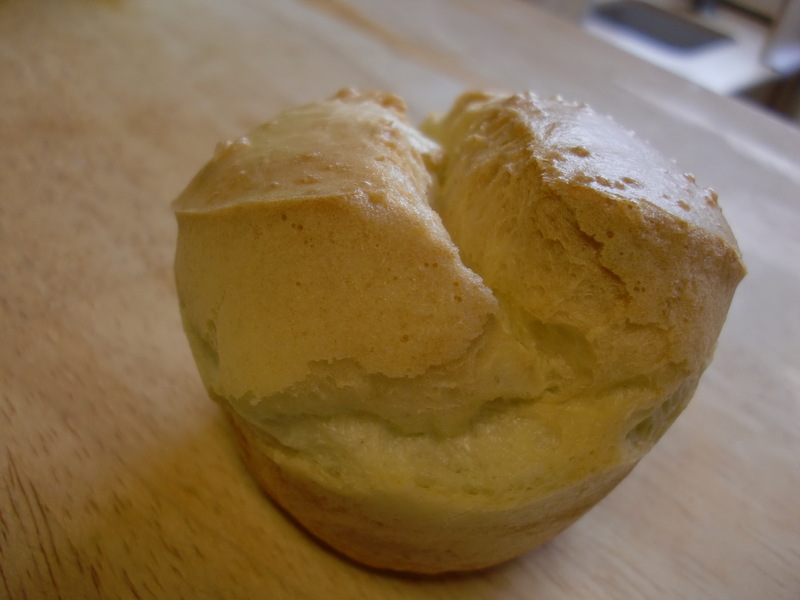 There I found a picture of a popover much different than the ones I had made. The ones on the website were puffy. Huh. I wonder why they didn’t puff when I made them? I posted a note to the website about it, commented about it on Facebook, then went searching online for more information about popovers. Gluten-free: this messes up many an otherwise delectable baked good. Dairy-free: this usually is a non-issue for me, I just use rice milk and fake butter and all is well. But apparently popovers have strong opinions about cows. High altitude: this was the big kicker, I think. I’d forgotten that we’re between 4,500 and 5,000 feet in elevation at my house. It’s not always enough to make a big difference (rice takes longer to cook and my sister huffed and puffed a lot when she jogged when she visited us, but those are the biggest differences I’ve noticed). But from what I read in the New Mexico State University High Altitude Cooking Guide, altitudes as low as 3,500 feet could require recipe modification. By this time, it was almost 11 at night, but I was a woman possessed. I decided to modify the popover recipe from the high altitude cooking guide to make it gluten-free and dairy-free and make one more batch before bed. The other change from the other two batches: I mixed the batter in the blender rather than with a whisk. 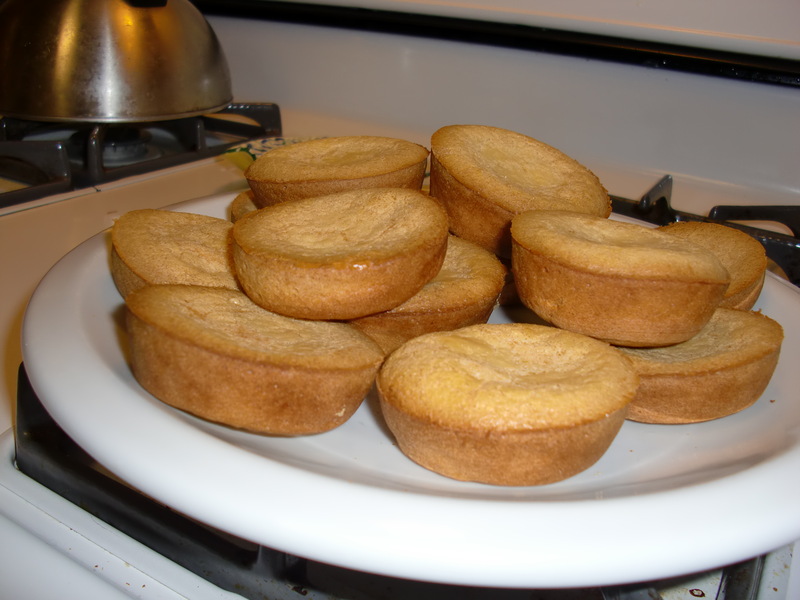 They were puffier and cakier, but not popover-y. This morning, I made up another batch. Yes, dear reader, they puffed. Here is the resulting recipe, the culmination of much research and experimentation. Those of you at sea-level will likely be fine with the King Arthur recipe. Those of you who are at altitude but not GF/CF will probably be fine with the New Mexico State University recipe. But for those of you who are GF/CF and living above 4,500 feet, this could be your path to popover bliss. For those of you who don’t eat eggs, I’m sorry I can’t help you. My obsession carries me only so far. 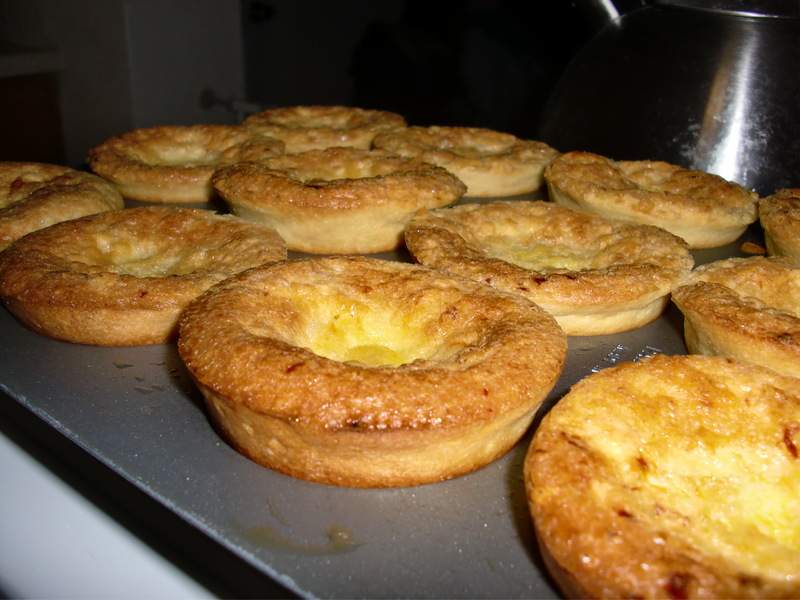 Preheat oven and muffin tin or popover pan to 450°F. Combine dry ingredients and set aside. 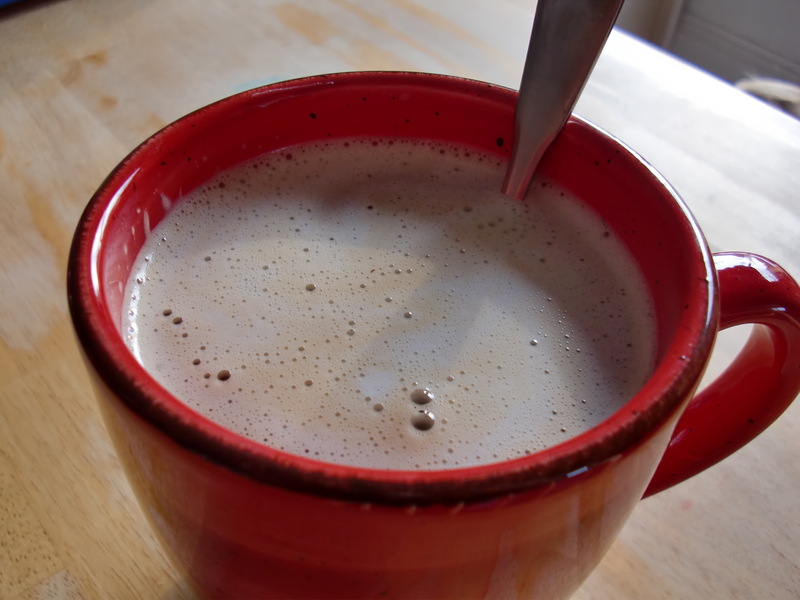 Combine coconut milk, eggs, and 1 T melted butter substitute in the carafe of a blender and blend until combined. Add dry ingredients and blend until smooth. Remove pan from oven and brush cups with the remaining 1 T melted margarine. If there’s any butter leftover, pour it into the rest of the batter and mix briefly until incorporated. Pour the batter into the greased cups, evenly distributing among all 12 of them (about 1/2 to 2/3 full). Place in 450°F oven for 15 minutes, then reduce heat to 350°F and cook an additional 25 minutes. Popovers are done when they are a tad browner than golden brown. Remove from oven and let cool just enough so you don’t burn yourself when you eat them. They have a nice hollow inside for all of the yummy stuff you might want to put in them. My 5.5-year-old daughter likes them plain, my 16-month-old son (who can now say, “popover”) likes them with raspberry preserves, I like them with fake butter and real preserves. My husband hasn’t tried them yet, but I’m trying very hard to leave him a couple. Or maybe one. Half. Can you find Xanthan gum in the grocery stores? It used to be I could only find it in Whole Foods-type stores, but in the past few years, I’ve found it in the “natural foods” or “gluten-free” sections of my neighborhood grocery stores. It’s probably worth a look. Thanks for the recipe! They didn’t puff but they were very good. I’ll give it another go. I’m fairly new to this dairy/gluten free stuff but I used to bake a ton. All the gf breads I’ve bought just turn to mush when you put anything on them. 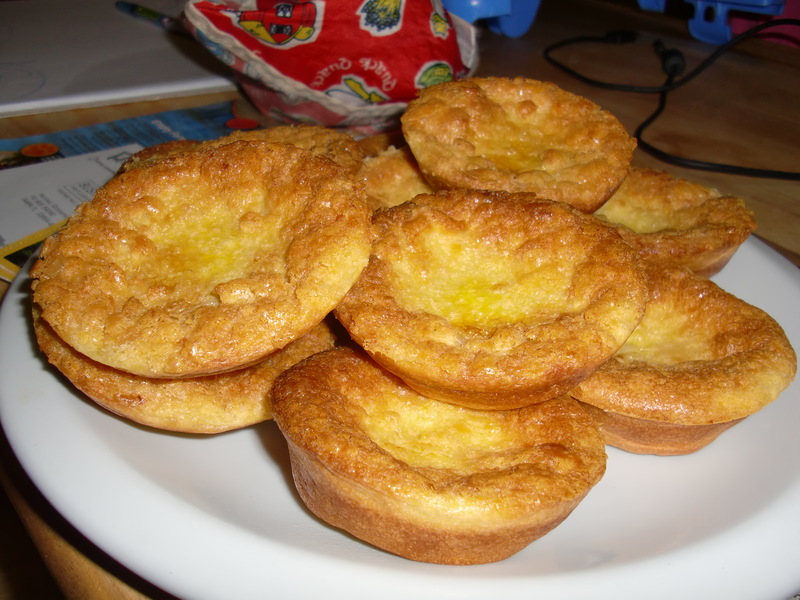 It was great to have these popovers with homemade soup tonight. I didn’t feel like I was missing out on anything. Thanks! I’m sorry they didn’t puff, Nicole, but I’m glad they were yummy anyway. I haven’t made these since last Christmas, and I’d bet my kids would like to have them again. i might not “like” you on facebook (that’s going to change the beginning of the year. . .you’ll see) but i like you in real life and sometimes your determination (and your “study” on ALL subjects) cracks me up! (I won’t call it obsession!). . .I hope they’re warm because I’d like to pop-over (okay, really, i would. . . but i think a sleeping babe in arms for the fifth day is my fate). . .alton brown did an episode on food network about pop-overs, which to me, says that there is a real science to them. . .you have conquered it without alton! congratulations.